Kia Ora New Zealand! Stray from well-beaten paths and discover ever-changing landscapes with our New Zealand self drive golf tour experiences. Relax in natural hot pools, challenge yourself at world class golf courses and enjoy fine food and wine. 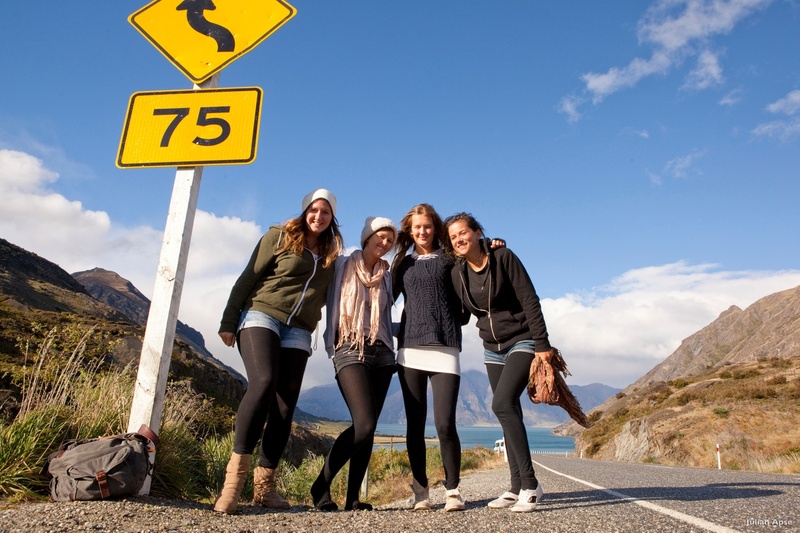 Meet the locals and delight in warm kiwi hospitality. Try a touch of adventure with jet boating or bungy jumping. Go wherever the wind takes you with the freedom of a self drive holiday. You’ll find gems around every bend. Below are some samples of suggested New Zealand self drive golf tour experiences, designed to showcase the best golf courses and destinations in NZ. Choose from a selection of hotels and golf options to suit your plans. To request a quote for your own bespoke and unique tour to anywhere in New Zealand, please complete the form below. We will be back in contact as soon as we receive your submission. Start packing your bags! North Island – Active volcanoes, island sanctuaries and history top the list when visiting New Zealand’s North Island. From the far north where New Zealand’s political history began, journey through landscapes that blend magnificent beaches, sprawling farmlands and geothermal wonders. Maori culture is rich and ever-present in many parts of the North Island. Auckland – Rated as the third most liveable city in the world, Auckland is a place where vibrant city style and spectacular landscapes go hand in hand. An urban environment where everyone lives within half an hour of beautiful beaches, hiking trails and a dozen enchanting holiday islands. Add a sunny climate, a background rhythm of Polynesian culture and a passion for outstanding food, wine and shopping, and you’re beginning to get the picture of Auckland, New Zealand, our largest and most diverse city. Rotorua is known for bubbling mud pools, shooting geysers and natural hot springs, as well as showcasing our fascinating Maori culture.. The Coromandel is a renowned for its pristine beaches, misty forests and laid-back vibe, is one of New Zealand’s most popular holiday destinations. With a mountainous interior cloaked in native rainforest and more than 400 kilometres of dazzling white sand beaches, it is rustic, unspoiled and relaxed. Lake Taupo was created nearly two thousand years and is about the size of Singapore – more of an inland sea really. At some of Lake Taupo’s beaches, swimmers and paddlers can enjoy warm, geothermal water currents. Just north of Lake Taupo you’ll find New Zealand’s most visited attraction, the magnificent Huka Falls, where more than 220,000 litres of water thunder over the cliff face every second. Hawke’s Bay is one of New Zealand’s warmest, driest regions and this has made it one of the country’s leading producers of wine; notably red wines it is also New Zealand’s Art Deco centre, rebuilt in the 1930’s after a huge earthquake. Visit the Cape Kidnappers gannet colony or relax on the glorious beaches that stretch along the coast. South Island – From wildlife to wineries, from glacial valleys to star-filled skies, nature’s best and purest natural landscapes flourishes against a palette of dramatic scenes. Christchurch is an eclectic mix of historic elegance and contemporary culture. As the gateway to the South Island, it’s a must on any itinerary. Central Otago In the 1860s this was a place of gold; But the gold today in Central Otago is wine. Pinot Noir, that most fickle of grape varieties, excels in these southernmost vineyards and most of the wineries offer tours and tastings. Many Central Otago visitors hire a motorhome or mountain bike to explore the region at their own pace. This way you can see some of the region’s more remote sites, taste the seasonal flavours and absorb the incredible scenery that you will often have all to yourself. Everything went so smoothly on our tour. The communication beforehand, the accommodation, the welcome gifts, the golf clinics, the competitions, the functions. Before we knew it we were all one big happy family. Thank you once again for your superb organisational skills, Golf & Tours, no stone was left unturned.